Oni, you may or may not remember, was a 2001 release from Bungie West, a division of the fine folks responsible for Halo. With heavy Ghost in the Shell cyberpunk influences it was one of the first games to blend gunplay and hand-to-hand combat quite so smoothly. As an elite member of the Tech Crimes Task Force, Konoko is an agent on a mission to fight the evil Syndicate. I hope I’m not spoiling anything for you when I reveal that SHOCK! The good guys aren’t that good! The bad guys aren’t that… well, actually, if memory serves, the bad guys really are that bad. Lots of black, and lots of grey, but not a whole lot of while areas is what I’m saying. Still, the plot and setting are more than good enough to serve as a vehicle for the biff-shoot funtimes. 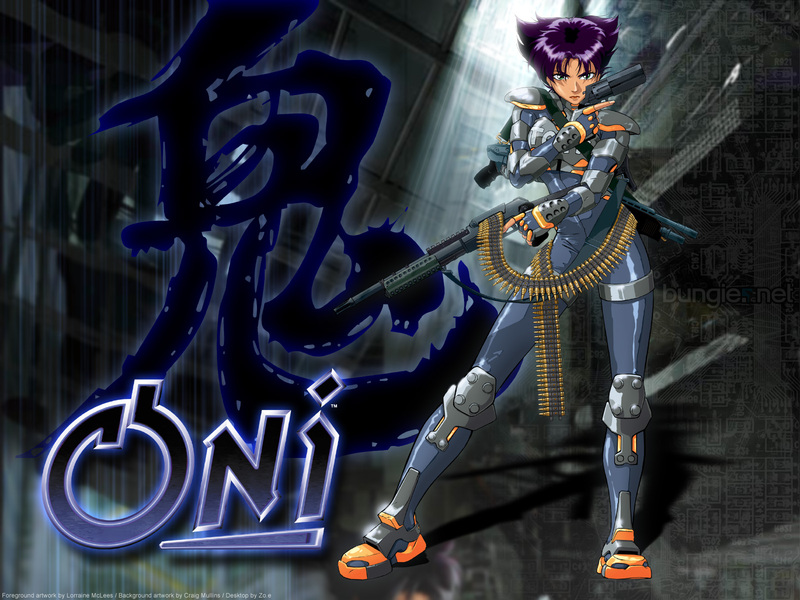 Oni was released to mixed reviews and never really had a hope of a sequel, which was a shame. It was a lot of fun to play and while the graphics have aged badly the gameplay shows every sign of having weathered the years rather well. With so many games getting reboots these days, I do hope that whoever owns the IP (Take-Two, I think) decides it might be worth a shot. Happily I still had my old copy lying around and even more happily it still worked. Sort of. A quick bit of Googling led me to OniGalore and, more importantly, the anniversary edition. Installed that and the game loaded without a hitch. Questions remain. Will it actually get further than the menu screen? Will it be as good as I remember? Will it work with an Xbox gamepad? Will I remember which version of the final boss fight is the near-impossible one and which is actually beatable by those with human thumbs? Will I survive the gruelling platforming/checkpoint hell?